Radnor Grain Elk Welders Gloves are made of supple and durable elkskin leather the resists moisture. The back is grain leather and is foam lined for additional heat protection while the palm is reverse grain that maximizes dexterity. The reinforced straight thumb adds strength in high stress areas and provides comfort. 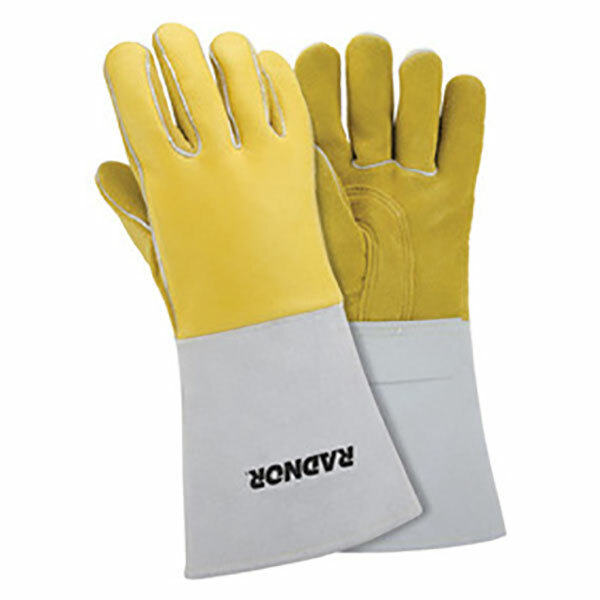 There is a stiff cowhide cuff and the whole glove is stitched with Kevlar thread for added strength and heat resistance.